If you live or work in San Francisco, you're likely familiar with the siren that goes off every Tuesday at noon. "My entire life I’ve been hearing this siren," says Bay Curious listener Jennifer Corbell, who grew up in the Sunset District. "Even if I get up in the morning and I know it’s Tuesday, it doesn’t really click for me until I hear that alarm going off." Corbell wanted to know more about the siren, so she asked Bay Curious to look into its history and how it works. 1. It has a name. 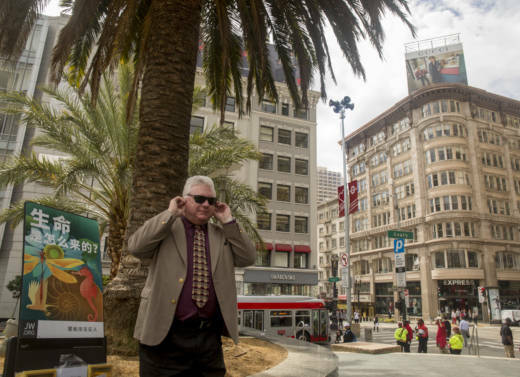 While most San Franciscans probably refer to it as the Tuesday noon siren, its official name is the San Francisco Outdoor Warning System, and it currently includes 114 sirens placed strategically throughout the city. 2. It dates back to World War II. The first sirens were installed in 1942, and they were used to warn citizens of air raids during the war. Today, they would be used to warn people about a natural disaster, like a major earthquake or tsunami. "You could announce in real time over the microphone for people to stay out of this area, or if there was an earthquake and buildings were unsafe you could tell people to evacuate certain areas," says Joseph Molinari, who oversees the sirens for San Francisco’s Department of Technology. 3. It's a human-powered system. Every week, an actual human being clicks a mouse to set off the system from inside San Francisco’s Department of Emergency Management office. Volunteers with the Auxiliary Communications Service call in reports from where they're stationed throughout the city. "If they can’t hear the voice, or can’t hear the siren wail in a specific area, they’ll report on that," says Molinari. "And then I'll go out there and see if it's a defect in the system." The volunteers are all ham radio operators — and each has a license and a call sign from the FCC. There are more than 2,800 licenses issued in San Francisco, though not all of those operators report on the sirens. 4. They're all over the city. 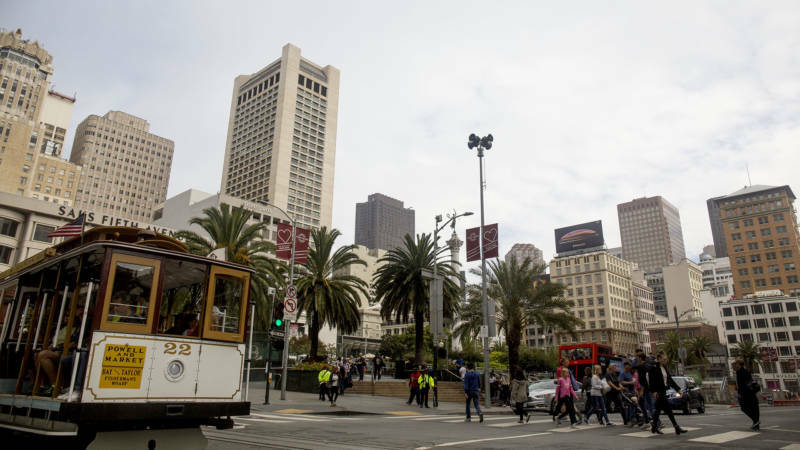 You can hear the noon siren in most parts of San Francisco, though speakers are clustered more tightly together downtown than in largely residential areas. This map shows where the sirens are located. 5. You might recognize the voice. The voice reading the message after the siren wail belongs to Dave Morey, a longtime radio host with KFOG, now retired. 6. It has its own Yelp page. Yup. Nineteen people have taken the time to review the siren on Yelp. Some people are fans: "Thank you San Francisco Outdoor Warning System for simultaneously promising to keep us safe from future impending disasters, and alerting me to the arrival of lunchtime every Tuesday at noon. Without your help, many Tuesdays I would likely be alerted to fill my belly with food, not by a voice sounding strangely reminiscent of James Earl Jones, but by the rumblings of my own stomach." Some, not so much: "With so many other siren options in the area, this one is really not worth your time." Average rating? Four stars. Not bad. 7. If there's a real emergency ... you'll know. During a real emergency, the Outdoor Warning System will go off for five minutes and have a different voice giving either pre-recorded or live instructions. The city has two portable transmitters, so someone can use the system outside the Department of Emergency Management office if needed. The siren hasn't ever been using during a real emergency. Fingers crossed it stays that way. A version of this story was first played on KALW's Audiograph.